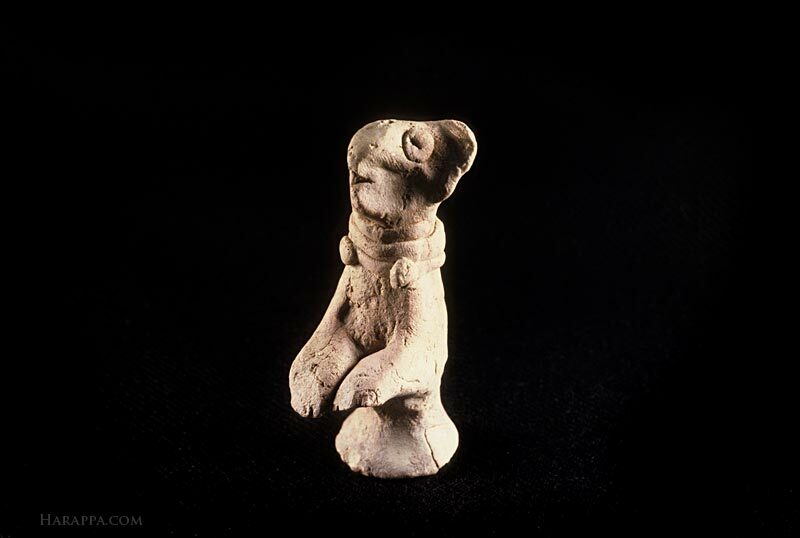 Figurine of begging dog with upraised front paws and wearing a beaded collar. The back legs have been shaped into a stand. Hand formed with applique ornaments and eyes.